Mochika Malta - Camping Equipment | Running Shoes | Sports Nutrition. 8 Awesome Sports Supplements that are at 30% OFF right now! 8 awesome supplements that are at 30% off right now! Is Malta a climber's paradise? Guest Post by Matt Ventures! 8 awesome supplements that are at 30% off right now! If you train regularly or have an active lifestyle, improving your performance and recovery is probably at the top of your mind. It is widely known that supplements can be a great addition to your fitness toolbox. Granted, supplements will not make you superman overnight – you still have to prioritize on other core aspects of training (exercise, nutrition, recovery), however, supplements (the hint is in the name!) will definitely support your body while you are on your journey towards a personal best! Here is our selection of supplements, which are currently, for a limited-time-only, at 30% off! EGG&OAT+ is a tasty shake made out of oats and egg protein, to give athletes a high-power and high-protein breakfast! Simply add 3 scoops to 200ml of water or milk and this shake, which is naturally lactose-free, will give you the necessary nutrients to kick-start your day. BONUS: EGG&OAT+ is also a great base for making some breakfast pancakes! 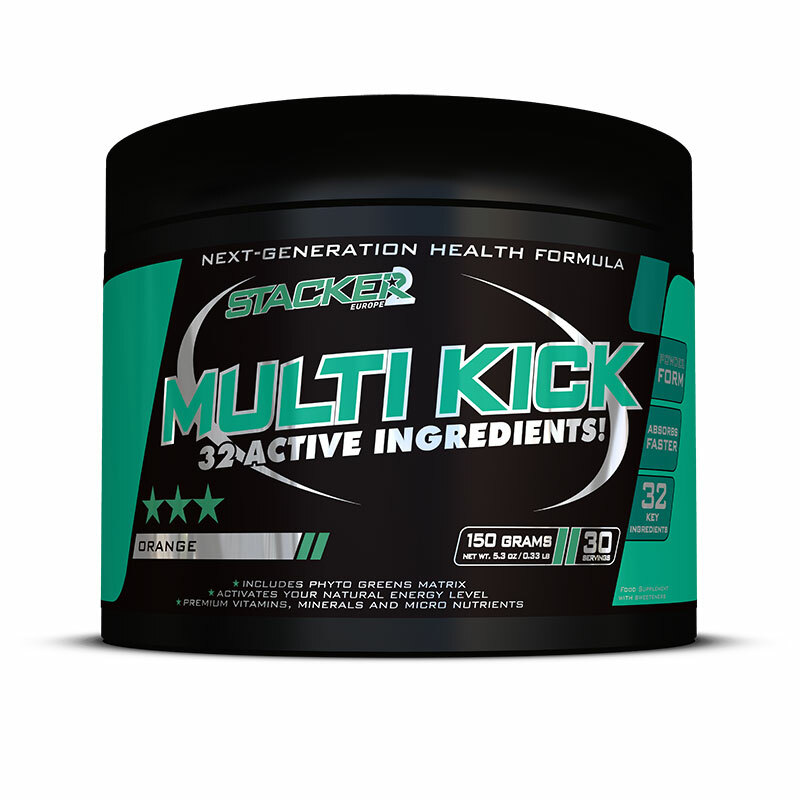 Multi Kick is designed to give you a dose of 32 active ingredients. Not only do you get the usual mix of vitamins and minerals, but you also get a healthy dosage of micronutrients, anti-oxidants, and greens! BONUS: Multi Kick is a powder based multi-vitamin that makes a tasty drink! Being a powder, you can adjust the recommended dose to suit your needs, whether it’s a little more or a little less powder. 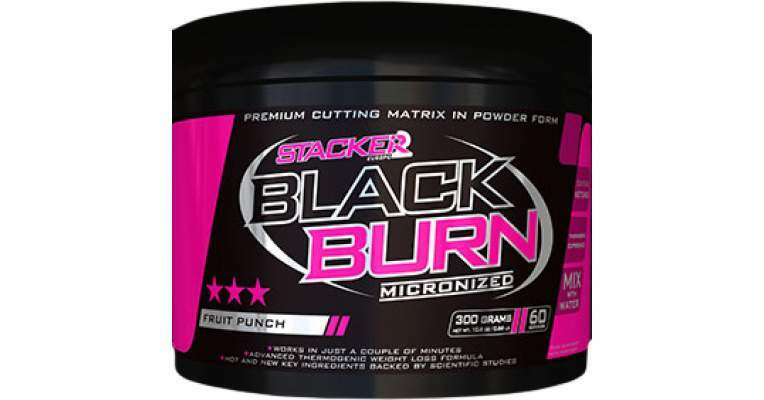 Perfect to start shredding that extra fat before summer starts coming in – Black Burn Micronized is our most effective fat burner in our range. 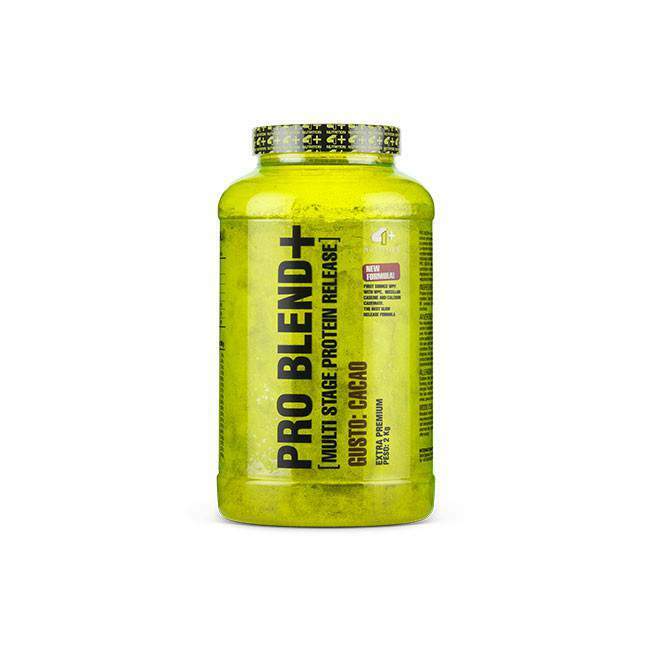 Containing a selection of natural-based ingredients that are proven to increase metabolism, burn fat and suppress appetite, this f at burner also contains raspberry Ketones that are proven to increase the rate of fat burn. BONUS: Black Burn Micronized is a powder-based formula. If you prefer the convenience of capsules, check out the original Black Burn. Sensitive to caffeine? Then Black Burn Stim Free is the one you need. Stacker2Europe do some great products. 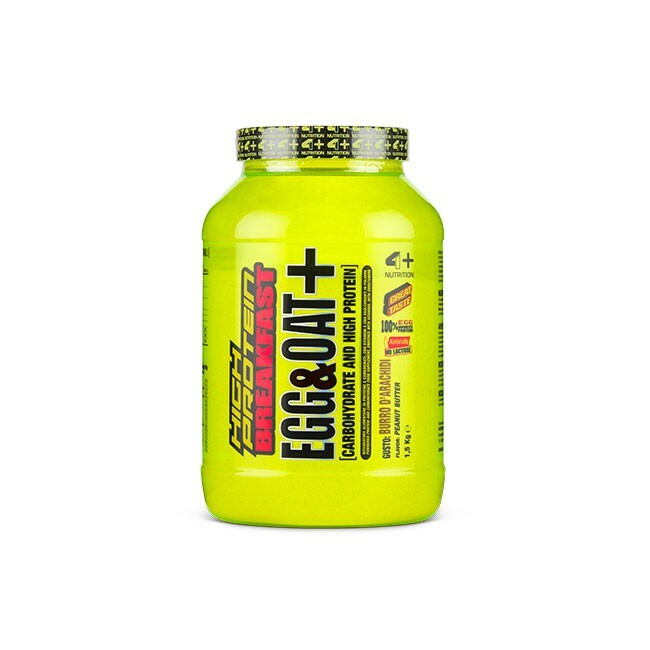 RUSH is our strongest pre-workout – containing 21 active ingredients. Last time we tried this we did a solid one-hour circuit, and at the end of the session, we were ready to try doing handstands! Get ready for some strong workouts! BONUS: Pre-workouts give you the jitters? If you prefer something with less of the caffeine rush, then RUSH N.O.X. 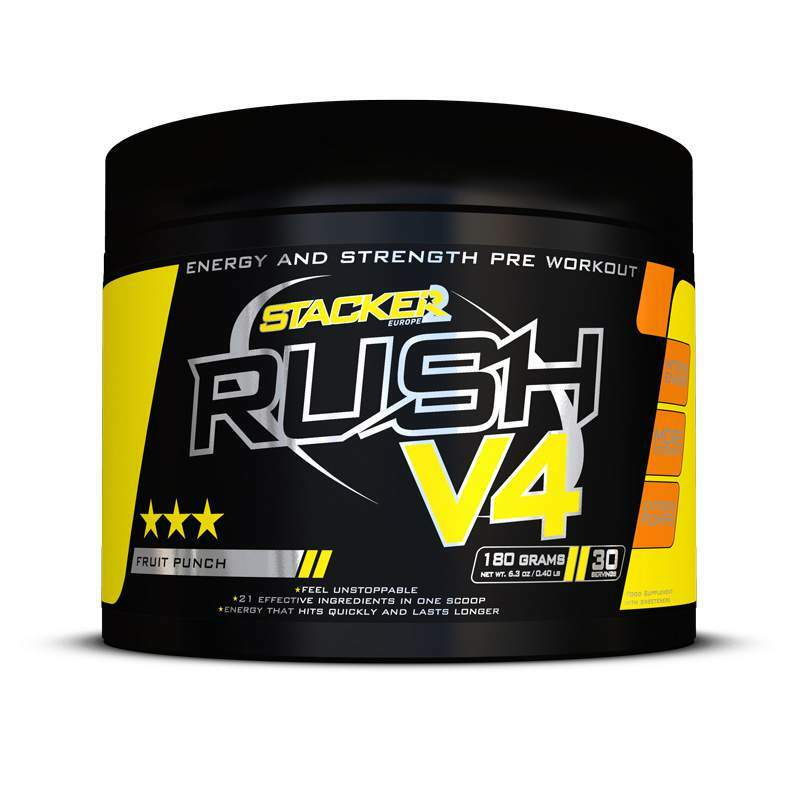 gives you a lot of the benefits of RUSH v4 without the caffeine kick. During workouts, be it strength training or endurance sports, you break down muscles. BCAA’s help re-build that muscle even during your workout. 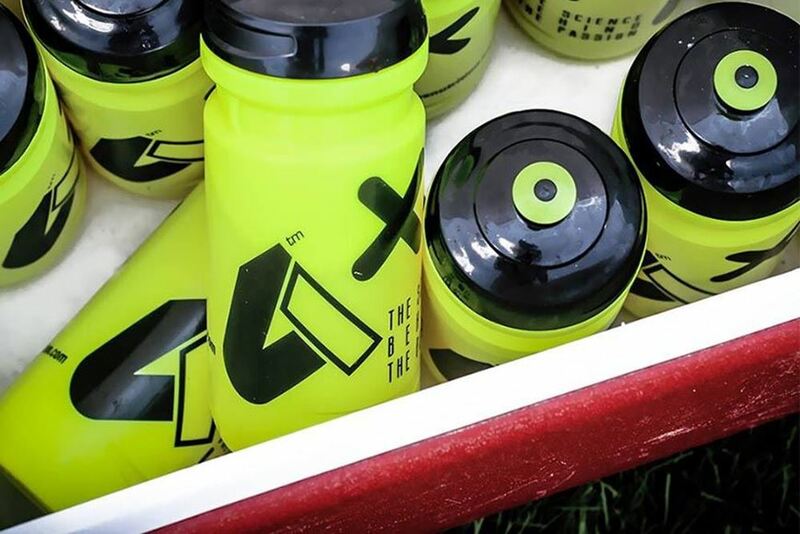 During workouts, you also lose sweat, which means you need electrolytes. 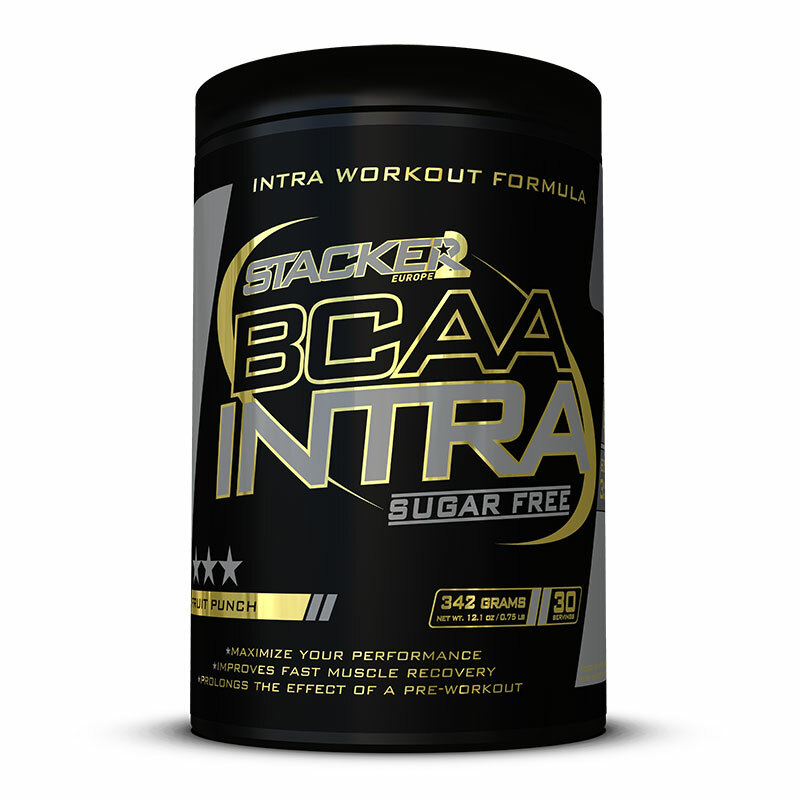 Enter BCAA Intra: 2 grams of BCAA’s coupled with the core electrolytes your body needs. BONUS: It is well proven that BCAA’s can be used as an energy source by your body. PLUS BCAA’s help prolong the effect of a pre-workout! Why take a simple whey protein shake when you can take in 5 different protein sources with different rates of absorption. This product contains 5 different proteins: hydrolyzed whey, whey isolate, whey concentrate, calcium caseinate, and micellar casein. BONUS: With different rates of absorption, your muscles will be fed with protein faster AND for a longer period at the same time! Instant coffee + Protein?! Well, why not! Get your caffeine kick AND protein boost in one tasty drink! 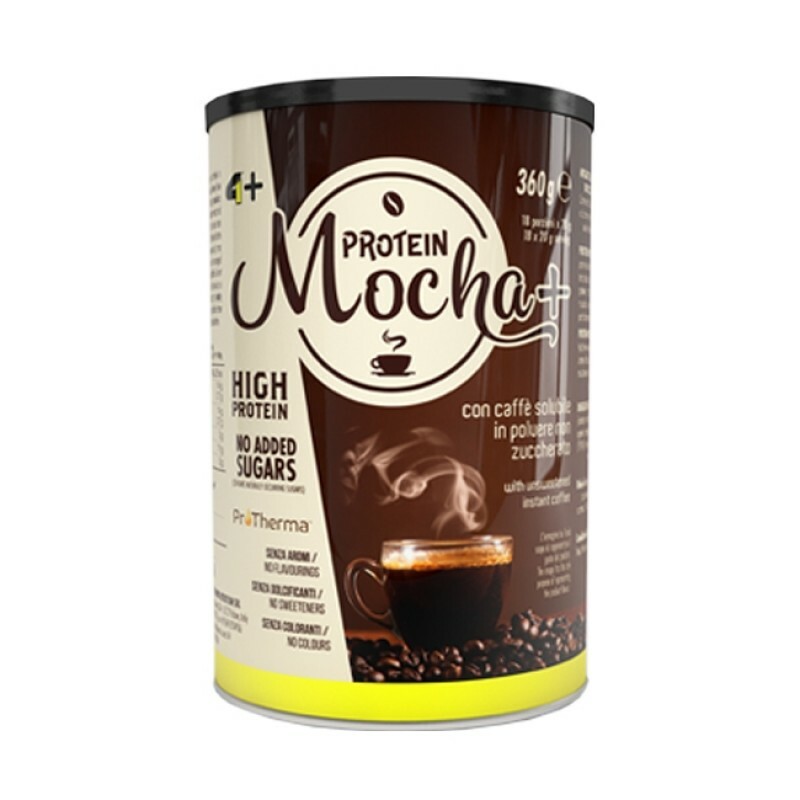 BONUS: The hydrolyzed whey protein in this product is very low in lactose, which makes this coffee drink great if you are lactose intolerant. 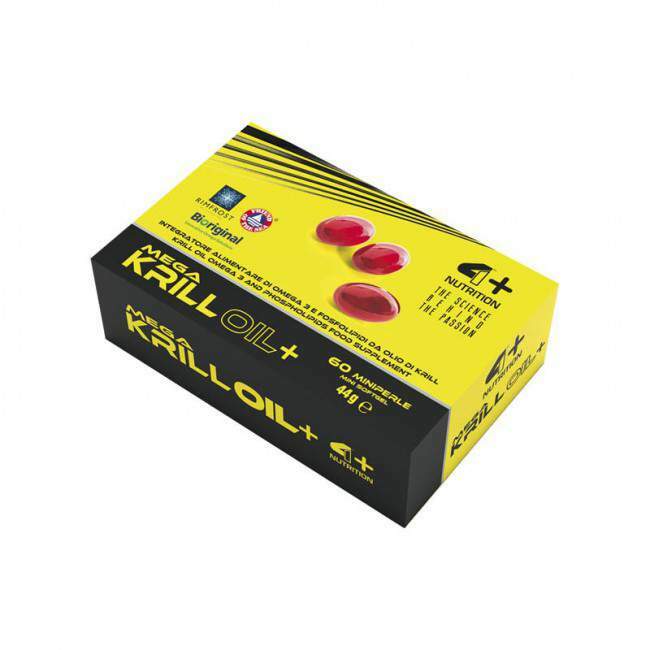 Krill oil is a substance made from plankton, giving you a great boost in Omega 3’s (EPA and DHA). This is one supplement you should include in your daily diet – reduces cholesterol, regulates blood pressure, reduces inflammation and a host of other benefits! BONUS: The fatty acids in the usual omega supplements are in the form of triglycerides while the fatty acids in krill are made out of phospholipids, which makes it easier for your body to absorb and use these fatty acids! 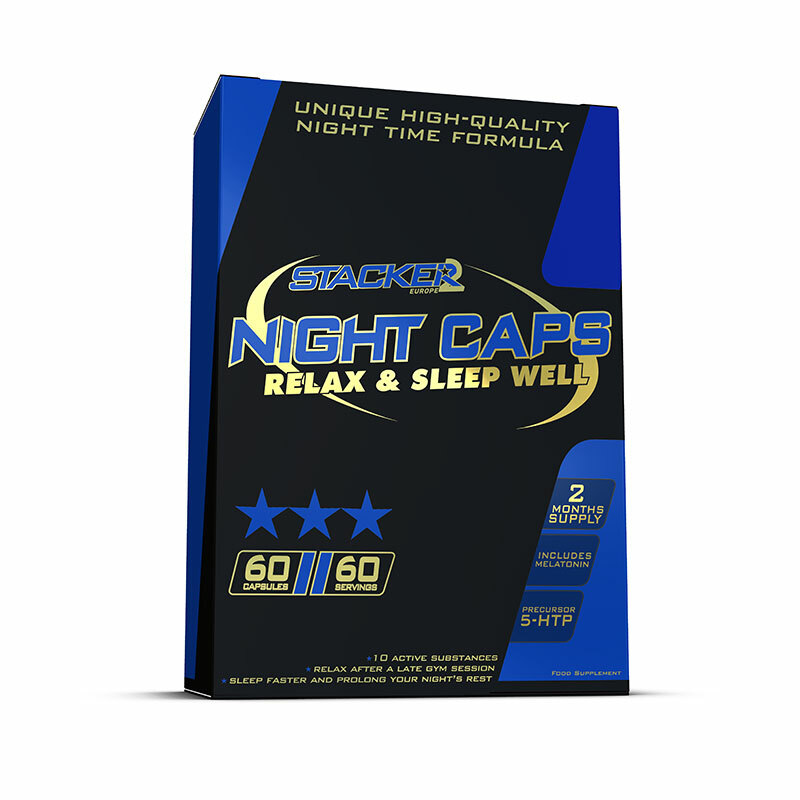 Night Caps is great if you have difficulty falling asleep or if those late training sessions are keeping you awake at night. This product contains 10 ingredients, including melatonin and valerian, guaranteed to make you have a better nights rest. BONUS: Sleep better – Train better. The mix of 10 substances is guaranteed to be more effective than simply taking melatonin on its own. All these supplements (and more!) are available at 30% off for a limited time only! BUY online from our website. Delivery is free on orders over €100 and is only €5 for orders under €100.